With the formal reveal of the first Cedar Trail processors a few days ago, netbooks sporting the new Atom chips should begin surfacing online as we get closer to CES. 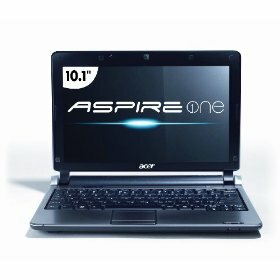 According to NotebookItalia, the Acer Aspire one D270 will be one of the first netbooks from the company to ship with a Cedar Trail CPU. The source claims that the 10.1-inch netbook will be equipping the N2600 at 1.6GHz with 1GB RAM and a 320GB HDD. While additional details are scarce, the netbook is believed to be coming in two versions, one with a 3-cell battery and one with a six-cell battery, for 250 Euros ($324 USD) and 269 Euros ($349 USD), respectively. The exact release dates are unknown, but we expect them to make an appearance at CES 2012 with a launch in the following weeks.